People who’ve served their sentences should be allowed to move on with their lives. They shouldn’t be saddled with debt for years or even decades after their release simply because they are too poor to pay court fees. A case in point is Briana Wakefield, a disabled, homeless, single mother of four whose only income is $710 per month in Supplemental Security Income (SSI) benefits and $170 worth of food stamps. For years, Briana struggled to pay the $2,500 in legal financial obligations (LFOs) she owes to Benton County District Court in relation to two misdemeanor convictions. LFOs are the fines, fees, and restitution ordered by the court for every person convicted in Washington. Briana filed a motion to reduce or eliminate the LFOs imposed on her. The ACLU of Washington has filed a friend of the court brief in Wakefield v. The City of Kennewick, explaining that federal law prohibits courts from requiring individuals whose sole income is SSI benefits to repay LFO debts. Further, it says that the United States Constitution requires courts that impose discretionary costs on criminal defendants to provide a meaningful opportunity for them to later seek cancellation of those debts. When Briana was unable to stay current on her payments, the district court issued a warrant for her arrest. In August 2013, the district court held a hearing to review her fines and also considered Briana’s motion to cancel court costs. At the hearing, Briana presented evidence of her disabilities and of her subsistence on SSI benefits. An expert established that Briana’s income falls far short of that necessary for an adult in the area where she lives to be self-sufficient. On appeal, the superior court affirmed the order to restart payments. The lower courts ignored they law when they required Briana to repay her LFOs. According to case law, benefits received under the Social Security Act cannot be diverted to pay for debts such as LFOs. 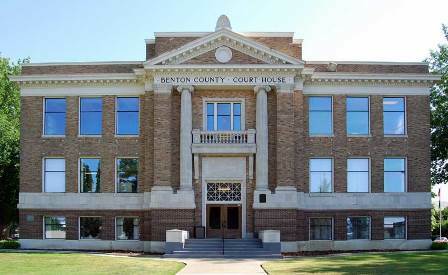 Furthermore, in order for discretionary costs to be imposed on a criminal defendant, the United States Constitution requires that defendants be provided with a meaningful opportunity to later request that the court cancel those costs and thus avoid being saddled with repayment obligations for years, or even decades, after conviction and sentencing. Whether waiver or reduction of LFOs is appropriate turns on whether “payment of the amount due will impose manifest hardship on the defendant or the defendant’s immediate family,” according to state law. However, no court has explained how this test is to be applied, leading individuals like Briana to languish under onerous debts. The case is now pending before the Washington Supreme Court, with a hearing set for May 24. ACLU-WA Staff Attorney Prachi Dave and ACLU-WA cooperating attorney Toby Marshall, of Terrell Marshall Law Group PLLC, wrote the brief.